When it comes to managing your business in today’s world, cloud-based applications has created their own place, even with the huge presence of Microsoft Excel, Word, and many other non-cloud based software. In the case of impeccable bookkeeping, managing invoices, and accounts, there are various best accounting software which provides great cloud-based service. In this article, we have presented the main factors behind growing popularity of these services. Most of the accounting and invoicing software provides you the ability to track your key tasks and one place and provides a seamless link to your accounting and invoicing aspect. With these services, you will never have to keep the various accounting sheets on paper or carry Excel sheets to your client. All you have to do is to use a cloud-based app to access all the financial data that you require. This allows more flexibility and comfort to accountants to work on their data every day. These cloud–based apps save you from unexpected or accidental data loss due to any event jeopardizing your desktops. Any virus or malware can seriously affect your financial data stored on your hard drive which can crash at any time. With cloud-based service, you don’t have to be worried about the device that has your precious financial data. Since it is stored virtually, you don’t have to worry about the condition of the hardware. While most of the traditional software comes with various security features, if your computer gets attacked by a virus or malware, then it can corrupt your financial data. Cloud- based applications come with the high set of security standards. These security features get constant upgrades to protect your data from the newest potential threats. These cloud-based systems offer the best option to get connected with customer support with any set of queries from the application itself. Most of these services have a quick response time which provides you answers to get your work done quickly. These software get constant updates and improvised state which benefit you with most advanced features at your disposal. It also provides huge storage capability than your computer. You don’t have to worry about storage capacity running out. Most of the accounting software often comes with huge cost and expenditure along with additional features requiring new and frequent upgrades which can cost you a huge amount. Most of the cloud-based systems are way more affordable than desktop versions. It also allows small businesses to save crucial amount as these services come with a flexible subscription system. While the traditional accounting approach seems more comfortable route, cloud-based applications is getting more popularity than ever before. 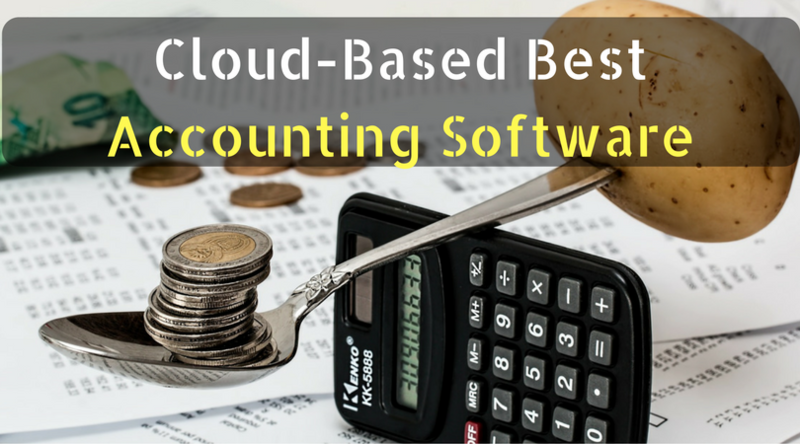 Even the free accounting software come with cloud-based system which is gaining its popularity with leaps and bounds.